We kicked off week 2 by introducing this year’s PhD Teaching Fellows. 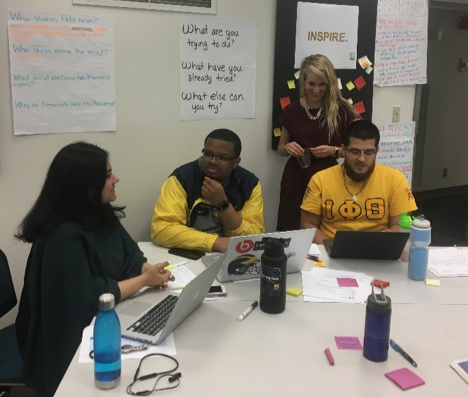 We welcomed Brooke Auxier (University of Maryland) and Kolina Koltai (University of Texas at Austin) to lead our two-week Research Design module, and Brittany Ann Kos (University of Colorado Boulder) and Mustafa Hussain (University of California, Irvine) to lead our Programming module. Two of our 2018 research advisors, Daniel Gardner (University of California, Irvine) and Daniel Carter (Texas State University), joined us to present a brief overview of their work and to discuss potential projects that the 2018 i3 Scholars could work on for the next year. Gardner discussed multiple questions related to games, including issues of representation and the evolution of microtransactions. 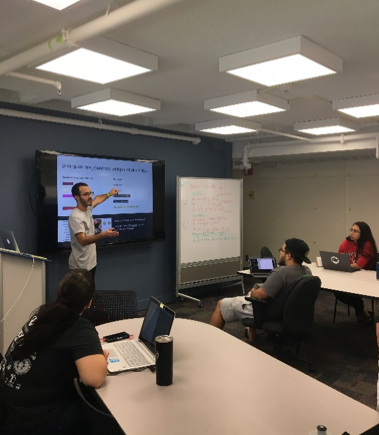 Carter engaged the i3 cohort in a discussion around data journalism, how facts are constructed in media, and what visualization tools are being used by journalists. 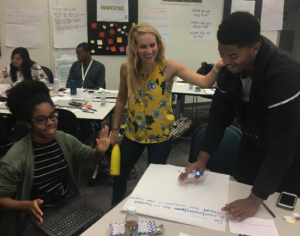 On day two of the teaching modules, i3 Scholars got their hands dirty. The Programming module was split into beginner and advanced groups to allow for more individualized instructions. 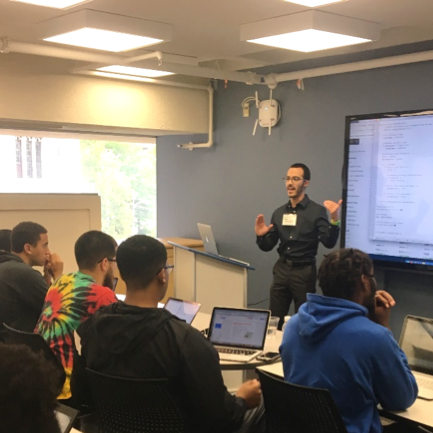 From there, each group was given an introductory lesson on how to use Python. 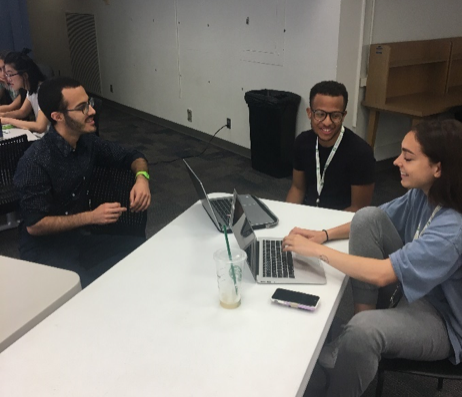 Students new to programming were eager to take on this new challenge, while our more experienced programmers were excited to see how they can use their existing skills to conduct research. 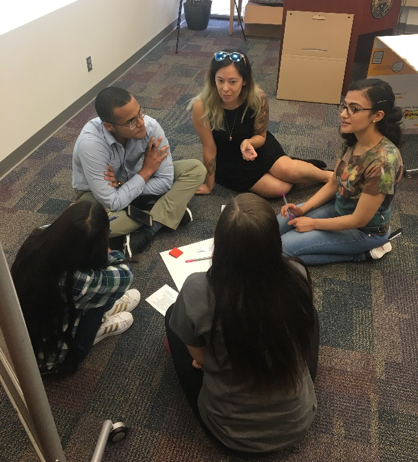 In our Research Design module, scholars were asked, “Why do we do research? 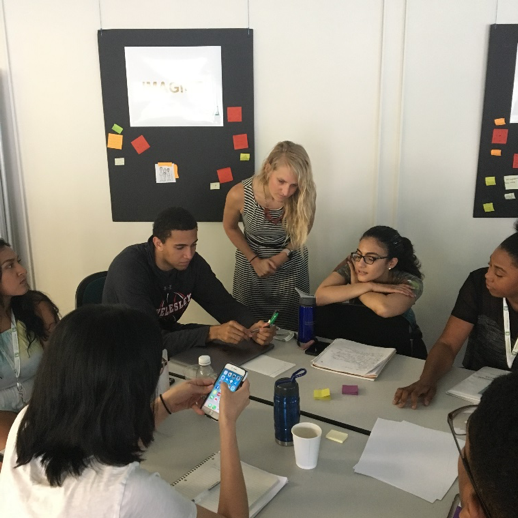 What is the purpose?” Teaching Fellows Brooke and Kolina built on this foundation in their second session, which explored how to develop research questions and how these questions guide and shape research methodologies. Along with our teaching modules, we had two additional research advisor presentations. Elissa Redmiles (University of Maryland) discussed her topics of interest, which included how users make security-related decisions and how to build behavioral interventions. Afterwards we heard from Dr. Cristina Robles Bahm (La Roche College), who has advised five i3 teams in the last five years. She discussed her research interests, which include spatial information processing and indoor wayfinding. 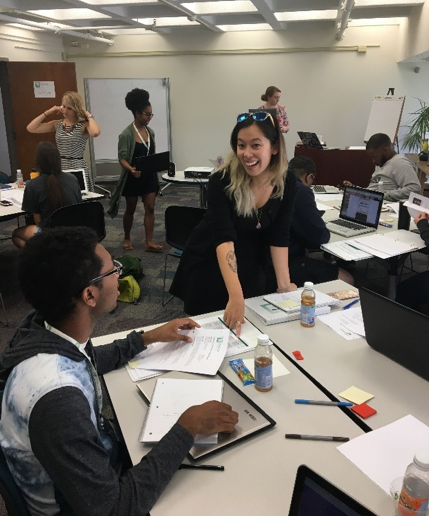 Day 8 of our i3 program was filled with smiles and no, that has nothing to do with the fact that it was a half-day. 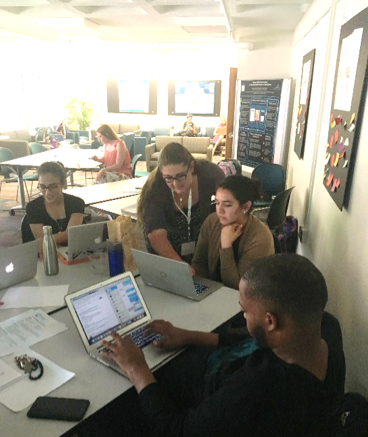 Our brilliant teaching fellows facilitated hands-on activities exploring how to design quantitative studies and scrape data using Python. The remainder of the day was left open for students to relax, catch up on some assignments, and explore Pittsburgh’s local attractions. We ended the evening with a viewing of Pixar’s Coco in the residence hall. On Day 9, along with our daily teaching modules, we welcomed two new guest speakers: Dr. Stacy Wood (University of Pittsburgh) and Dr. Kathleen Moore (James Madison University). 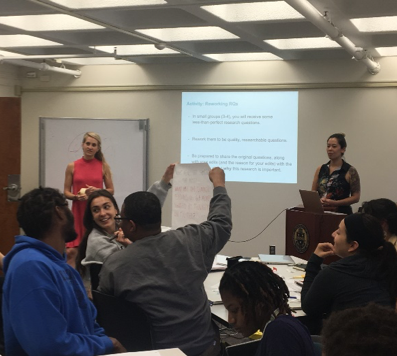 Dr. Wood facilitated a workshop on data, design, and policy, and shared her experiences with and visits to highly secured data archives. 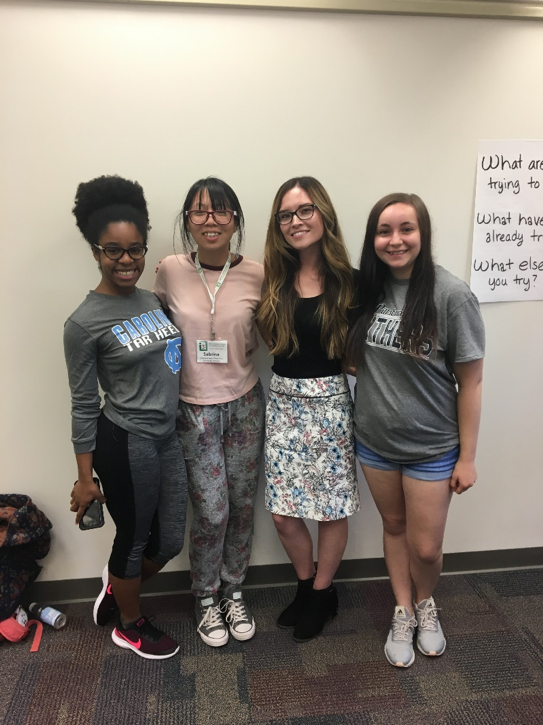 Dr. Moore spoke to us about Intelligence and analysis, focusing on how to think and talk about technology in ways that bridge knowledge gaps across stakeholders. After another exciting, yet rigorous day of i3 teaching modules and workshops, our scholars were ready for an adventure. After the day came to an end, our students put on some athletic gear and were ready to rock(climb). 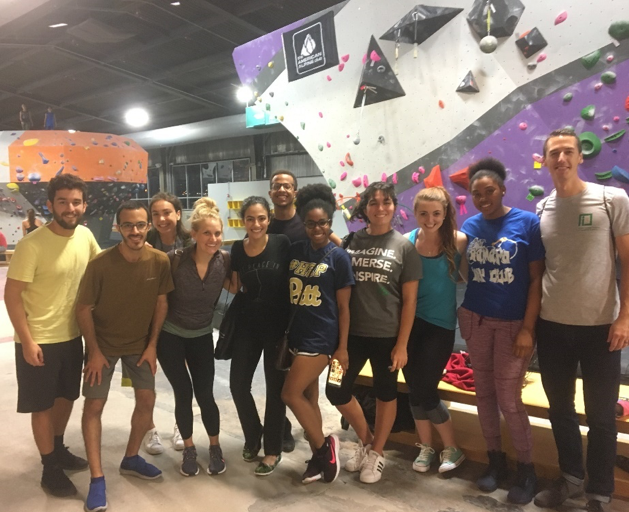 We traveled to an indoor rock climbing facility off campus for an evening of climbing, bouldering, and mostly falling. Our final day of Week 2 was also the halfway point for our teaching modules. It was another full day of Research Design, Programming, research advisors, and professional development. Dr. Jason Gines (Pennsylvania State University) delivered a powerful presentation about organizational culture and building community. 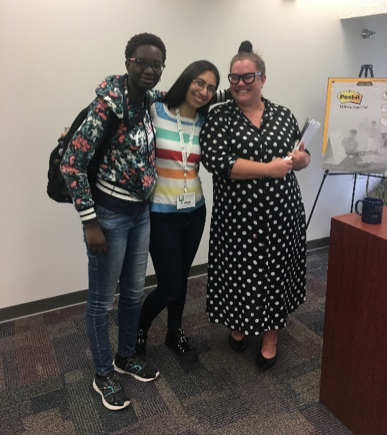 Dr. Gines highlighted the importance of diversity in the workplace and gave advice on setting intentions, building validation circles, combating imposter syndrome, and navigating hostile and non-inclusive spaces. To wrap up the day, we had our final research advisor workshop with Dr. Elizabeth Eikey (University of California, Irvine). Dr. Eikey discussed her research areas, which include designing for mental health and wellness. 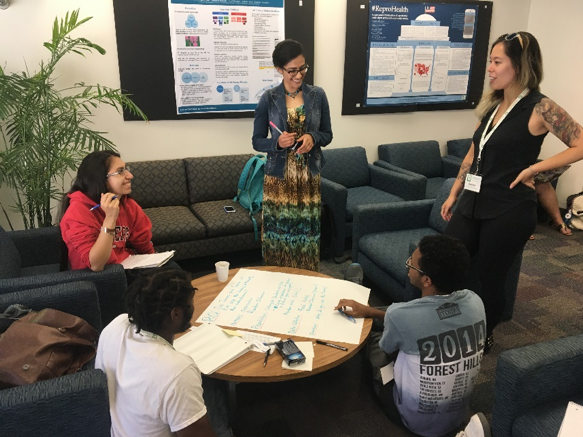 As we look forward to Week 3, students will be self-selecting into research teams based on which of the six research advisors and projects align with their research interests and goals.